The Los Angeles Sparks edged past the Minnesota Lynx 85-84 on Sunday night in Game 1 of the 2017 WNBA Finals at Williams Arena in Minneapolis. Trailing by as much as 26 points midway through the first quarter, many teams would have a hard time climbing out of that hole. But the Lynx, although they ultimately fell short in the end, did just that. In a pretty impressive comeback, Minnesota fought and clawed its way back into the game. The Lynx even went on to take a one-point lead with 6.5 seconds left in the game, thanks to a layup by Maya Moore. 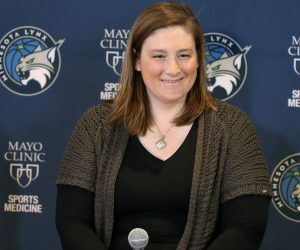 Minnesota didn’t come out on top in the game, but the fact that the Lynx still put themselves in a position to win the game is impressive in itself. In 27-plus minutes on the floor, Jia Perkins helped spark that second-half comeback for the Lynx. Perkins finished with six points, five rebounds, three assists and two steals coming off the bench for Minnesota and began the third quarter with three straight baskets. Perkins also finished with a game-high plus/minus of plus-25. 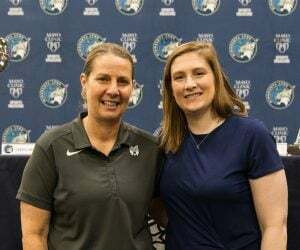 Along with Perkins, Moore tallied a team-best 27 points and four rebounds, Sylvia Fowles had 22 points and 13 rebounds, Seimone Augustus had 19 points, eight rebounds and four assists and Lindsay Whalen had five points and six assists. 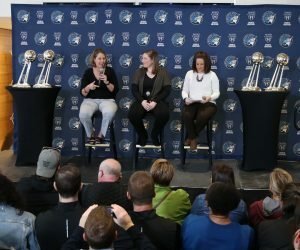 In Game 1 on Sunday, the Lynx fans definitely brought it to Williams Arena on the campus of the University of Minnesota. 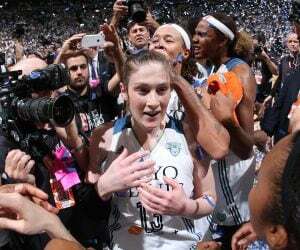 With an announced crowd of 11,823, both the Lynx and Sparks could feel the impact of the fans during the game. The Lynx and Sparks are back at it at 7 p.m. (CT) on Tuesday in Game 2 at Williams Arena in Minneapolis. The game will be aired on ESPN2, 106.1 BOB FM, TuneIn Radio and the Lynx App.